Raffle Prizes worth Over $1000! Government data issued last week by the Ministry of Health & Welfare shows that Exports of South Korean-made beauty products have soared more than 10-fold over the past seven years, climbing to $4.18 Billion dollars, compared to $451 million in 2009. Between 2013 and 2016, there was an annual average 43.7 % increase over the prior year, thanks to the growing demand not only in the U.S., but also demand from China and other Asian countries. What accounts for this Korean Wave or Hallyu? We are fortunate to have two expert analysts with a wealth of experience in all aspects of the K-Beauty Boom to discuss what has caused this trend to take hold in the U.S. and other markets. Sarah Chung - Founder & CEO - Landing International Inc.
Ju is the former Director of Marketing of K-Beauty e-tailer Peach & Lily where she led all B2C marketing, including e-commerce, social, content, and advertising and helped to grow the Korean beauty market in the US. Ju launched her own Company, Inside the Raum LLC in early 2016. A New York-based K-Beauty consultancy, Ju works with many companies including Fortune 500 clients, Hedge Funds, several Korean beauty brands, as well as Retailers who all seek her expertise in this quickly-growing beauty category. 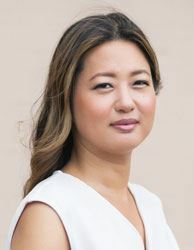 Ju graduated from Brown University and later trained as a consumer-first marketer with major companies like Kraft Foods, American Express, and Samsung after receiving her MBA from Columbia Business School. 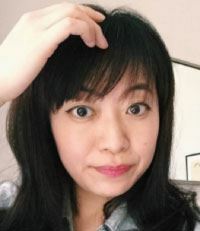 Primarily a New Yorker, Ju lived in Seoul for two years where she got to experience K-Beauty first hand, with all their innovative products, clever packaging, and amazing speed-to-market for new beauty product ideas. She volunteers as a Mentor for A2A Labs in their & Beyond start-up Accelerator Program. Sarah is an international business development specialist based in LA helping consumer brands succeed in new markets since 2001. She is CEO and Founder of Landing International Inc., an online platform that connects retail buyers with global beauty brands. Landing’s retail partners include ULTA, Nordstrom, Urban Outfitters, Free People and Forever 21, and she recently partnered with ULTA to bring the K-Beauty Shop to 300 doors, launching in mid-March, 2017. Formerly CEO of Periscope Solutions, a market research provider for multiple brands (AmorePacific, Johnson & Johnson, GoSMILE, Vitamin Water), as well as marketing agencies (Noise Marketing, DIGO, Maloney & Fox) and investors (Carlyle Group, North Castle Partners, Rosewood Capital, VMG Partners), Sarah was named Outstanding Entrepreneur by the Asian American Entrepreneurs Network. BLEU Brand Development is a full-service brand development agency specializing in personal care– a complete resource from ideation to execution. Our core competencies are sales, marketing, operations, and product development. BLEU Brand Development has the ability and resources to manage all aspects of your business or to create a custom plan that focuses on a specific area of need.